Refillable felt-tip highlighters are designed to help reduce the amount of plastic waste in our environment. Just think – if everyone were able to refill their felt-tip highlighters five times, this would eliminate the need to throw away four out of five plastic highlighters as they become dried-up. Obviously this isn’t going to solve all of our problems, but it’s nice to see the selection of refillable felt-tip highlighters is increasing. We’ll talk about three of them in this blog post. The Platinum Preppy Highlighter Pen can easily be refilled by inserting a new ink cartridge or by using a converter and bottled fountain pen ink. Noodler’s bottled ink comes in regular highlighter and long-lasting highlighter colors such as Year of the Golden Pig and Dragon Catfish pink, green and orange. 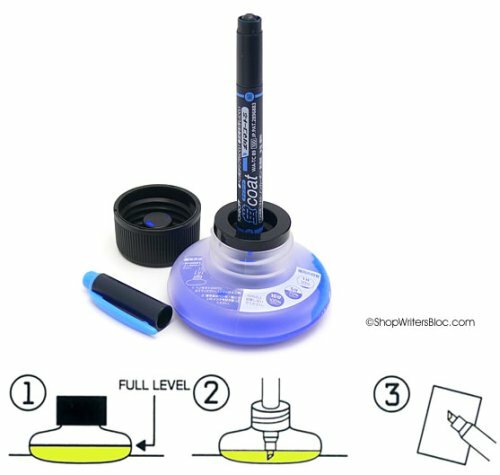 When the felt tip on this highlighter starts to break down you can even replace it with a brand new felt tip! The body and cap of this pen are made from recycled polycarbonate. Preppy Highlighters are available in the colors green, orange, pink, yellow and blue. Tombow Twin highlighters can easily be refilled using the Tombow Coat Highlighter Charger. All you need to do is set the open recharger on a level surface, gently put the pen’s felt tip into the ink, and 10 minutes later your highlighter is fully recharged! If you can’t wait 10 minutes you can use it sooner – after one minute the highlighter is 20% recharged, in five minutes 70% recharged. There is enough ink in the recharger for 10 refills and each highlighter pen can be refilled about 5 times. At first, the Tombow Coat recharger bottle design seems rather curious since the ink full level is near the bottom of the bottle. However, if you happen to accidentally knock the bottle over while a pen is recharging you’ll discover that the ink won’t spill out. I’m thinking someone has done this before… Tombow Coat Highlighter Chargers are available in ten different colors: yellow, red, brown, orange, golden yellow, yellow green, sky blue, blue, purple and pink. I have not tested to see whether or not this ink is compatible with other highlighters (yet). The STAEDTLER Textsurfer Classic Ink-Jet Safe Highlighter is another good example of a refillable highlighter. It’s clean and easy to recharge by firmly inserting the felt tip into the top of the open refill station. After three or four hours it is completely refilled, but it can be used after spending just a few minutes in the refill station. It’s impossible to overfill the highlighter since it draws out only as much ink as needed to fill it to capacity. 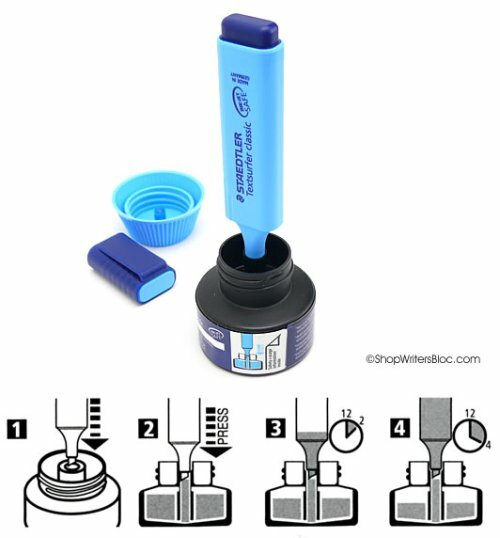 The refill station is specially designed not to spill ink if it is tipped over. 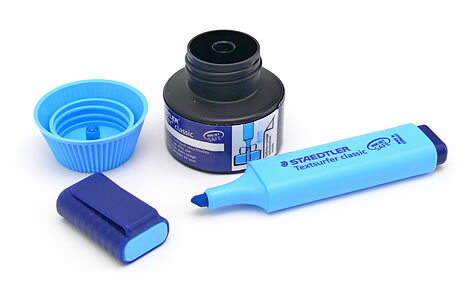 Be sure to match the Textsurfer Classic Ink-Jet Safe Highlighter to the STAEDTLER refill station with ink-jet safe ink or you’ll lose the ink-jet safe property. STAEDTLER Textsurfer Classic Refill Stations come in yellow, blue, green and pink. 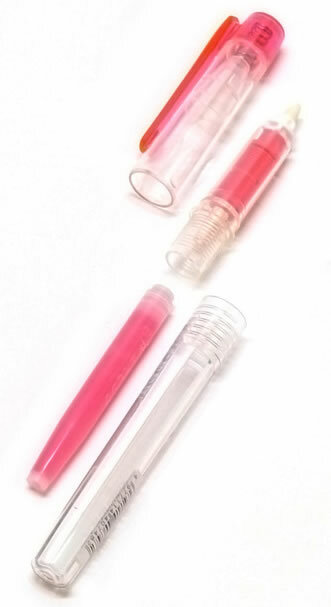 Do you have a favorite refillable felt-tip highlighter? Please tell us about it! I’ve been mostly using Pelikan fountain pens with forgiving, rounded, left-handed nibs lately, and decided it was time for a change. Platinum Pens is known for making high-quality nibs, and I felt a good place to start would be their flagship fountain pen, the President, with an attractive 18K gold fine nib. Platinum Pens is a Japanese pen maker, so their fine nib size is more like an extra fine in a LAMY or Pelikan nib. I normally have medium-size handwriting and I wanted to see how small, but still legible, I could write. This nib is amazing for small handwriting and narrow rule paper! I think it even made my handwriting look better than usual. And to think for years I was stuck in the rut of writing only with medium ballpoint pens because the fine ballpoints tended to poke through the bad quality of paper I used (or wouldn’t write at all) and I had given up finding other pens that I wouldn’t smear. The President fountain pen took me a little while to get used to since the nib is so much finer than the nibs I’ve been using lately and the grip is smooth, without the “training wheels” of the ergonomic grip that some pens have. However, once I figured out the best way to hold it we became fast friends and I’m not sure if it is my imagination but the pen seemed to write smoother and smoother as I went along. Even though the fine nib is very fine, the Platinum President fountain pen puts down a lot of ink. I went through ink more quickly than I first I thought I would. I did have to make an adjustment in the paper I used once I switched to a Noodler’s ink that dried slowly. Instead of 90g Clairefontaine paper, the 80g Exacompta Basics paper seemed to absorb the ink a tiny bit and allowed it to dry more quickly so I was able to avoid smearing. It would have been nice if this pen had been designed with a piston filling system so that it could hold more ink than the converter does. Regular Platinum cartridges do seem to hold more ink than their converter, but I tend to like ink in unusual colors. Another nice thing about the President fountain pen is that it takes a very light touch to write with it. I am sure it will take me years to un-train myself from using the ballpoint pen “death grip”, but it will be worth it! Definitely less writing fatigue. I have small hands and like writing with light-weight pens, so I prefer writing with the cap off of the President. The President I used for this review is a demonstrator, and the material it is made of seems like it would be very durable. Overall I found the Platinum President fountain pen was a pleasure to use! Members of popular pen forums speak highly of the smoothness of Platinum nibs. Do any of you use Platinum Pens? What has been your experience with Platinum fountain pens? 2009 marks the 90th anniversary of the Platinum Pen Company, one of Japan’s leading manufacturers of fine writing instruments. 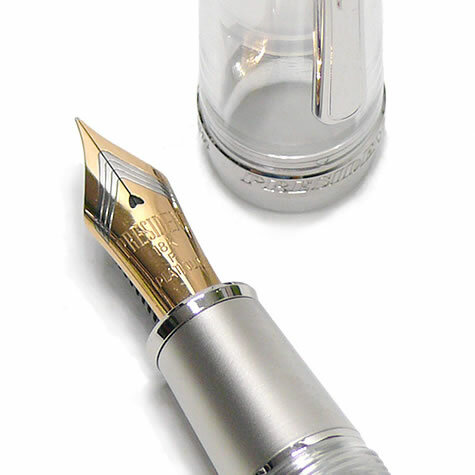 Platinum Pens is well known especially for the high quality of their fountain pen nibs. In the 1930’s the Platinum Pen Company began to manufacture maki-e pens including lacquer carving and pearl inlay. Maki-e is an art that has been around for hundreds of years and is created by sprinkling silver or gold powder onto urushi lacquer. These hand-crafted pens are popular among collectors both in Japan and in the West. Platinum Pens launched the first water-based ballpoint pen in 1948 and began to manufacture fountain pens that used ink cartridges in 1958. In 1978 they introduced the model 3776 fountain pen, named after the height of Mount Fuji, which is 3776 meters tall. The Platinum Pen Company combines high quality materials with traditional Japanese artistic craftsmanship. 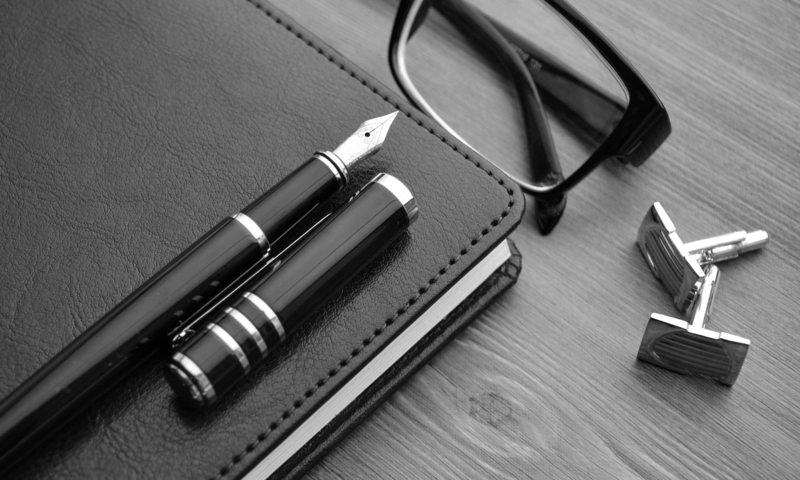 Their pens range in style from amazing works of art, to the flagship Platinum President fountain pen which balances the best in fine writing with an every day practicality, to the perky and popular Preppy fountain pens that are affordable for almost anyone. New to the Writer’s Bloc store is a selection of Platinum Pens from the flagship President Series and the 3776 Series. If you’re craving a high quality extra-fine nib these are definitely worth a try since the size of Japanese-made nibs runs on the fine side. A fine Japanese nib is most often comparable to an extra-fine European-made nib. For those that like a nib that writes as "smooth as silk" with good ink flow and nice variation in stroke width then you may enjoy Platinum’s extraordinary music nib. I am so happy to finally find the Preppy Highlighter from Platinum Pens! Liquid ink highlighters have always been my favorite, but I use them up quickly and was tossing multitudes of plastic pens into the trash. I could picture the creation of a small landfill with my name on it, mounded up with dried up highlighter pens… but not any more! Preppy highlighters are refillable with ink cartridges that come with fresh replacement nibs when mine starts to wear out. I can also use a converter to easily refill the pen with whatever ink I choose. The cartridge that comes with the Preppy Highlighter lasted me about one month, or roughly 275 lines of highlighting text printed on 8 1/2″ x 11″ paper. I chose to refill my pen with Noodler’s Firefly Highlighting Ink. After using 3 cartridges full of ink, the tip of the pen had become softer than I prefer so it was time to replace it with a Platinum Preppy Highlighter Replacement Tip. The ink I have my eye on next is Noodler’s Ink Year of the Golden Pig. This highlighting ink will not fade and comes with a free eyedropper fill Preppy Highlighter Pen to save money and help the environment. Without any personal input from other Lefties, I decided to slowly ease in to the world of fountain pens by first trying out the Platinum Preppy Fountain Pen. After all, this pen is very inexpensive so what would I have to lose? After several weeks of use around the house on random types of paper I only had one ink smearing incident. This is better than what I had hoped for! I found this pen easy to use and it provided a consistent flow of ink in a smooth, fine line. The biggest drawback for me is that the Preppy ink cartridges come in a limited number of colors. This problem can be easily solved by using an ink converter and bottled ink instead of cartridges. Before obtaining these things I first wanted to do a “test drive” to see if it is worth it, which I think it is. As a left-handed writer I am quite satisfied with my first fountain pen experience. Consequently, I now have in my possession a fun, new, special edition lime green LAMY Safari Fountain Pen. Another report will follow shortly with the test results.